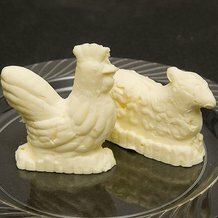 Whether you make it yourself or merely like to slather it on your roasted corn, add it to scrumptious sauces and delicious dishes or melt it for dipping with boiled lobster or steamed clams, it's always better with butter. 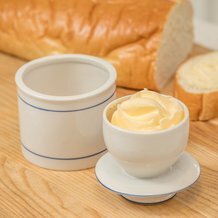 Lehman's offers a full assortment of butter churns, crocks, supplies and accessories to help you get the most out of this delicious, nutritious food. 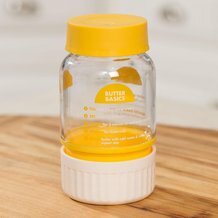 Nothing beats the fresh taste and self-sufficient satisfaction of making your own butter. 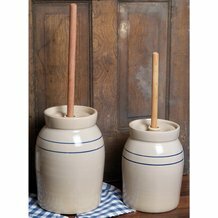 If you are looking for a new butter churn, we have beautiful butter churns for sale. 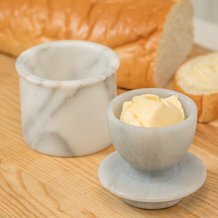 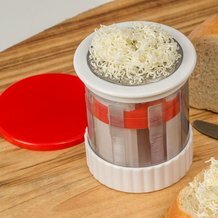 Besides the satisfying fun of making your own butter with a hand-crank butter churn, the taste you get from your own fresh-made butter is incomparable. 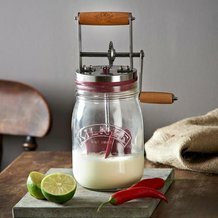 We have a butter churn for sale to suit just about any space, as well as kits and replacement parts. 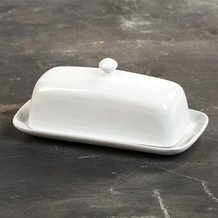 If you need an attractive way to serve your butter, whether home-made or store-bought, we have lots of butter boats and dishes that are as practical as they are attractive. 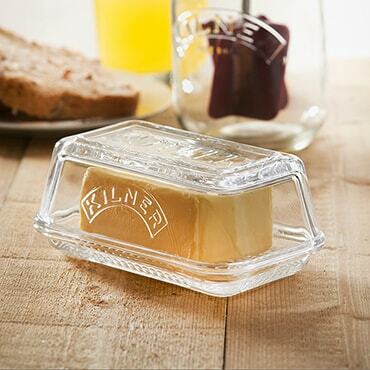 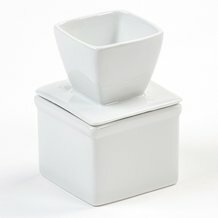 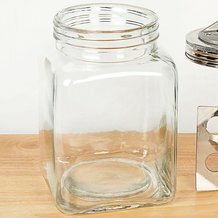 We also carry a variety of lovely butter crocks, molds, jars and accessories that will make your butter even better.